Maybe a purposeful life means you’ll have fewer followers on social media because you’re not on your phone as much anymore. Maybe you’ll do that thing you've always wanted to do, or paint for the joy of it, or have a long coffee date with someone and build a lasting connection. Maybe a purposeful life means you will make less money, but you’ll find you have all you need. Many of us (hand raised!) sometimes fear that if we slow down even the tiniest bit, we will no longer be productive. We fear our lives will be meaningless if we aren’t constantly striving for something bigger and better. Yet when we finally stop chasing those impossible standards and surrender our fears, we become truly productive in what matters. We experience genuine fulfillment: an imperfect yet intentional life. 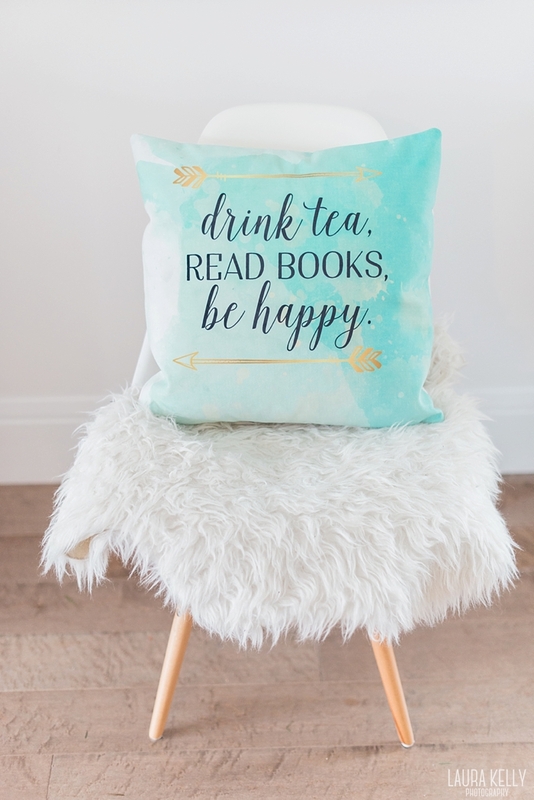 Pillow from The Sweetest Digs Co.